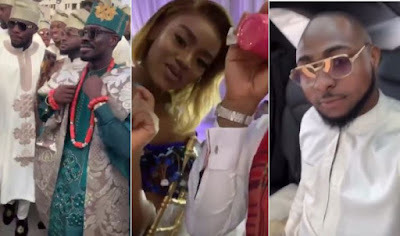 Superstar Musician, David Adeleke, his beautiful Girlfriend, Chioma and his Entourage stormed the wedding venue of the son of popular frustrater, Fred Ajudua in grand style looking very stylish. 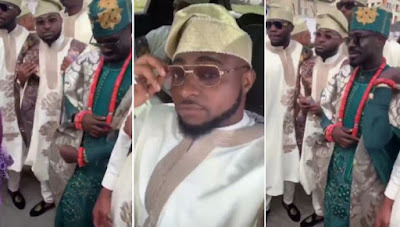 The son of Fred Ajudua is Davido's Manager. More photos below..